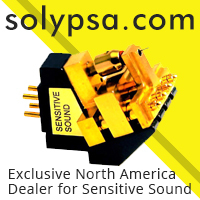 If you’ve been reading TONE this year, you know we’ve made an amazing discovery in Italy’s Gold Note line of phono cartridges. 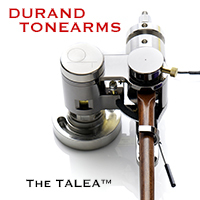 They achieve a wonderful balance of tone, dynamics, and resolution, and at a reasonable price. Their PH-10 phonostage offers more of the same sensibilities. $1,600 gets you a solid-state phonostage with two inputs, each configureable as MM or MC, with a pair of single ended and balanced outputs, assuring compatibility with any system compliment. Those wanting to take their analog journey even further can upgrade the PH-10 to a class-A tube output stage, along with a higher capacity power supply. We think that’s green thinking at its finest, allowing you the ability to grow with your PH-10 as your love for analog increases. Listening begins with a well-used record I’ve heard thousands of times; Steely Dan’s Can’t Buy a Thrill. Of course, I’m using the high output (1.2mv) Gold Note Machiavelli, mounted on a TriPlanar U2 carbon fiber tonearm and the excellent Soulines Kubrick turntable. 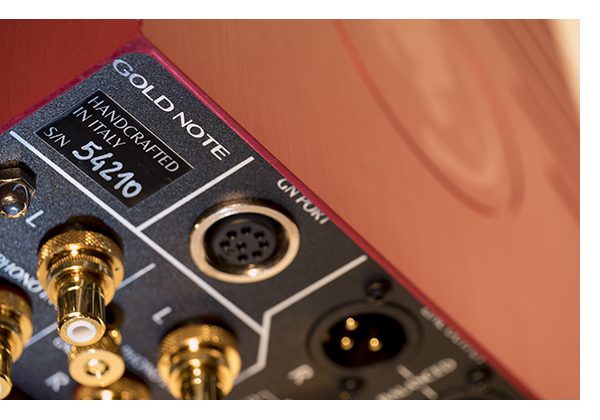 Gold Note’s own table is being photographed, and we like to swap only one component at a time to fully evaluate something new, so we’ll talk about an all Gold Note combination in the upcoming turntable review. Suffice to say they all work together incredibly well. It’s tough to believe that this is such a reasonably priced phonostage; it reveals a level of musical information I would expect from a much more expensive component. If I didn’t know better, I’d believe the folks at Gold Note if they told me the price of the PH-10 was double the current asking price. Because they produce such a diverse range of products, there is a scale of engineering and manufacturing that makes it easier to offer such high value. In the context of other phonostages, all three of the Gold Note cartridges we’ve reviewed all have a distinct sonic signature that is a drop or two on the warm, romantic, involving side of neutral. Yet as you go up the range, each cartridge reveals more low level detail and paints a larger soundstage, offering greater dynamics, without sacrificing that delectable midrange. Annie Lennox’ layered vocals in the Eurythmics 80s classic, Revenge, shine clearly front and center on this densely mixed record. The ability to unravel dense musical tracks helps to distinguish the PH-10 from its competitors. It helps get away from what you might assume a solid state phonostage would sound like, and to dig further into your music collection. 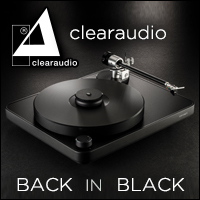 The ability to use two turntables is a major bonus in any phonostage, but again, mostly unheard of in this price range, and usually only one input can be used in MC (moving coil/high gain) mode. Configuring the PH-10’s two inputs is only a click away, via the front panel switch and display, revealing which equalization is at your disposal. The PH-10 offers RIAA, Columbia, Decca and a “custom” setting. There is 45db of gain in the MM mode and 62db in the MC mode with four “trim” settings for fine adjustment. Gold Note even includes separate grounding terminals for each of the two inputs. My Audio Research REF Phono 3 ($14,000) does not. Once you set things to taste, it’s easy to keep track of via the easily read front panel display. Nice touch. We’ve used $60,000 phonostages that didn’t have this level of adjustment. Having spent a lot of time in the music server world, this old fashioned audiophile really appreciates that all adjustments can be made from the front panel, without a remote or an app. Ultimate simplicity! 9 selectable loading options (10, 22, 47, 100, 220, 470, 1k, 22k, and 47K) mean no cartridge is off limits. 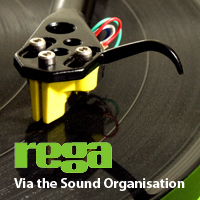 The lower loading options are great for cartridges like the Rega Apheta/Apheta 2, which really need a 20-50 ohm setting to tame. A number of older MM cartridges perform a little better at 22k, so again, the level of versatility offered here is spectacular. Auditioning the PH-10 with the Gold Note cartridges at our disposal as well as cartridges from Rega, Grado, Lyra, Ortofon and Denon prove it’s versatility. 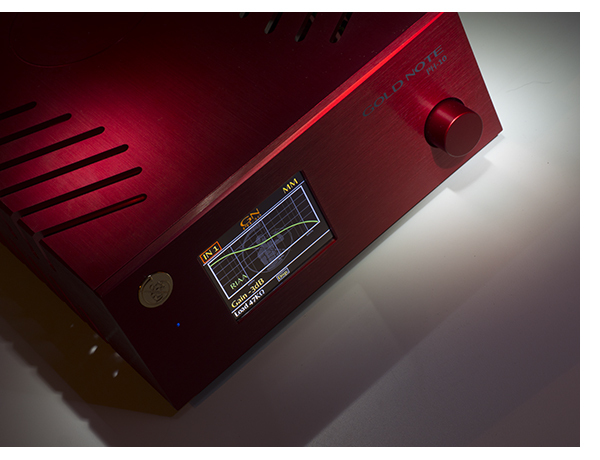 Gold Note mentions an upgrade to optimize the equalization curve, allowing you the option of fine tuning it even further to your taste. 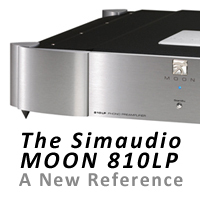 We hope to sample this at some point, along with the class-A tube output stage. This is connected via a 5 pin neutrik connector on the rear panel of both units, so this should take the PH-10 to even higher performance. The PH-10s compact, half-chassis size allows it to integrate anywhere, and the balanced outputs allow you the luxury of having a turntable where it’s convenient to place it. 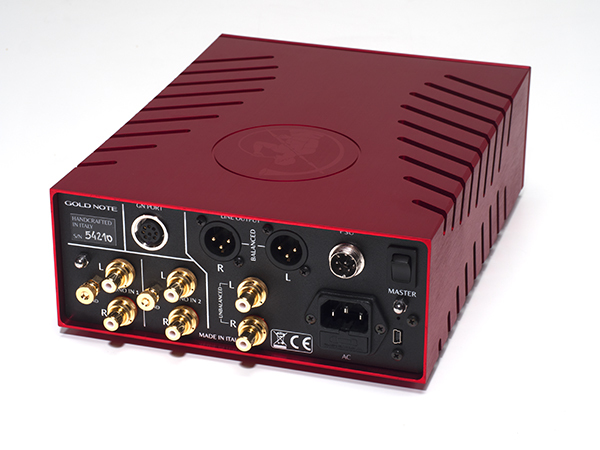 The PH-10 easily drives a 30 foot pair of Cardas Clear balanced interconnects with no signal degradation whatsoever. Balanced outputs have a fixed level of 4 volts and the single ended outputs 2 volts, more than enough to drive any modern or vintage preamplifier or integrated amplifier to full output. Features and functionality are great, but without excellent sound to back it up, useless. The more time spent listening to the PH-10, the more we love this phonostage. Regardless of the program material chosen, its sonic character comes through. Bass is solid, powerful and well defined. Thanks to the on board subsonic filter, the extreme low to subsonic frequencies are gently rolled off to avoid potential sources of turntable rumble from reaching your speakers. The midrange is glorious and the highs are extended and detailed but never harsh. The cymbals throughout Hank Mobley’s Roll Call, are always smooth and silky with just the right amount of bite, yet bass and kick drums are renedered with the necessary amount of dynamics and force to be convincing. In addition, the PH-10 reveals plenty of midrange detail and textural/spatial information to have you wondering if there isn’t a tube or two inside the red box. I assure you there isn’t. 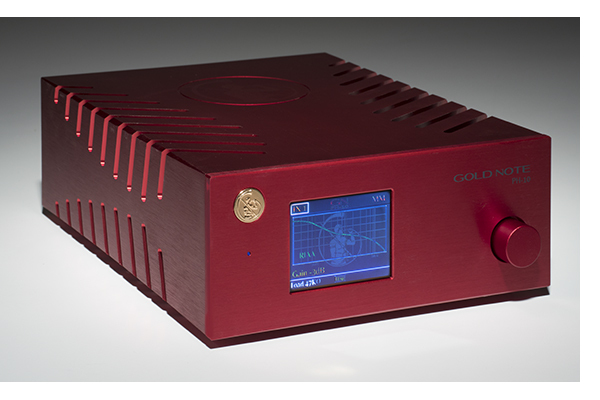 Gold Note’s PH-10 phonostage comes right out of the box with top in class performance, yet it offers the ability to expand it considerably further. What else could you ask for? The price puts it within reach of a wide range of analog lovers, and the performance (along with a clear, concise upgrade path) make it easy to grow with. I am happy to give the PH-10 one of our last exceptional value awards for 2017. It is well deserving.